Hello garden gals and guys! Remember I said that I was going to try a new method of gardening called “SPIN” gardening? Well the process has begun! This past Monday I went out into my garden and dug up four 2 foot by fourteen foot beds with a one foot walk way in between them. I then dug two smaller beds in the space I had left. I direct-seeded (put the seeds directly into the ground) four different types of lettuce, spinach, kale, turnips, radishes and carrots. SPIN stands for Small Plot Intensive gardening and the idea behind it is to have each bed produce not just one but several crops throughout the season. The idea is that you can have produce from your garden starting in May (when most people are just beginning to plant) and reap harvests all the way through fall. 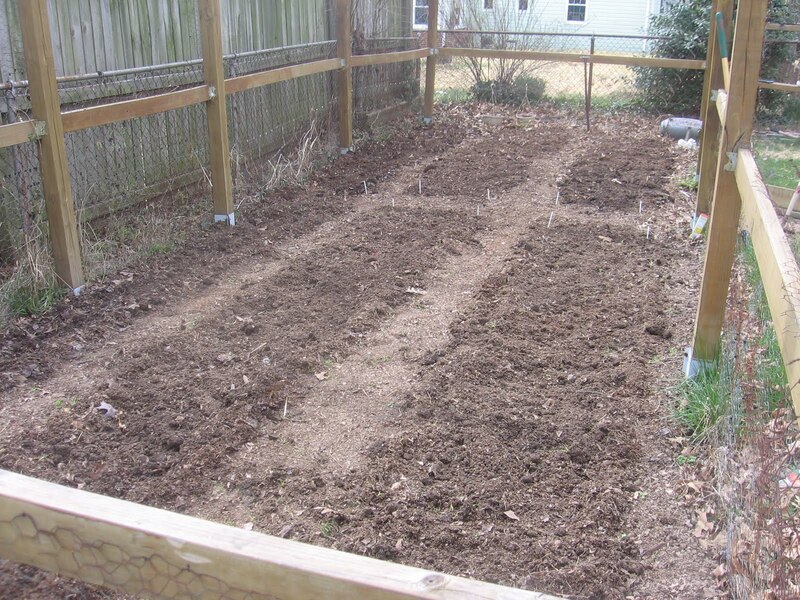 Each one of my garden beds will grow several crops throughout the season. 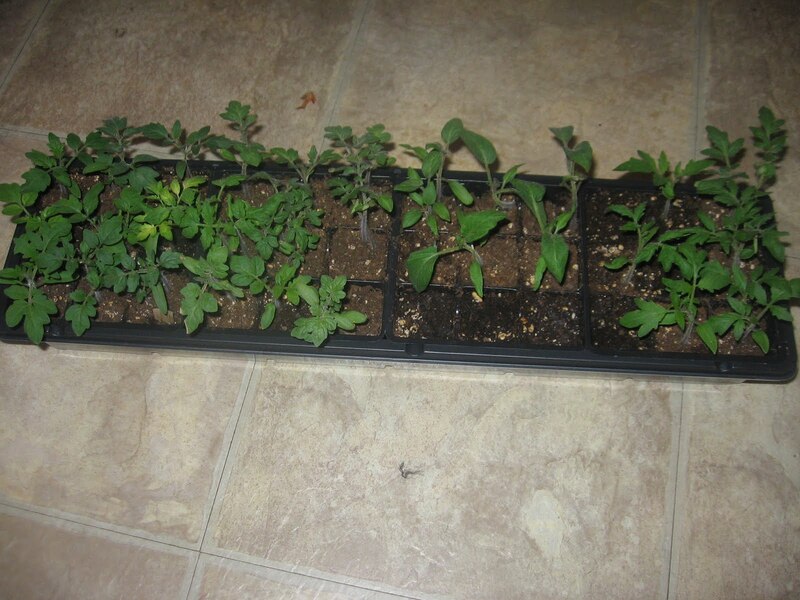 Once the lettuce is harvested and the weather is too warm for another lettuce crop, I will pull out the leftovers, amend the soil with some organice compost and plant my tomato seedlings which are growing quite nicely in my laundry room! The spinach bed will be come a cucumber bed, the kale and turnips will turn to beans. I’m not sure what crop I will put in my carrots/radish bed…probably peppers. Since I don’t have a lot of space, each one of my beds is divided in half to be able to grow two crops within a single bed. I think this is going to be my best garden yet! I am looking forward to saving lots of money and feeding my family nutritious, fresh and chemical free fruits and veggies! It doesn’t look like much more than soil right now, but I will post piks as my new seedlings start to sprout. I’m nervously awaiting these little sprouts as I have never direct-seeded before. I’ve always grown from seed inside and then transplanted! Some of the seeds never sprouted but I’ll work with what I’ve got…and they look good. In fact, I just gave them their first seawood fertilizer feeding and they look strong and healthy. If you have any questions about SPIN gardening or about my garden in general, leave a comment or send me an email! OH! I almost forgot. I finally finished my classes for the New Farmer Trainee Program. Now the real work begins starting April 5th, as I get on the farm and get dirty! I’ll be blogging about that too so stay tuned! Until next time garden gals and guys….happy gardening!